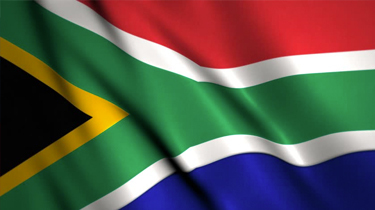 Link Global Management can provide a full range of payroll services in South Africa. The individual will be engaged on our payroll and income is paid in the form of salary, allowances and expenses, the proportion of each part depending on individual circumstances. Link Global Management will discuss your personal circumstances with you and help you to minimise your tax and social security liabilities, within the boundaries of South African legislation. Income is managed tax efficiently, not just in South Africa but also in any other country where there may be a liability. A tax return is filed each year in South Africa with advice and assistance from Link Global Management who will also provide help with filing tax returns elsewhere, if required. The basis of employee taxation is remuneration, which consists of salary, leave pay, allowances, wages, overtime pay, bon uses, gratuities, pensions, superannuation allowances, retirement allowances and stipends, whether in cash or otherwise. These payments, together with the cash value of any fringe benefits received, form part of the gross income of an employee. Fringe benefits are taxed in accordance with a schedule of valuations. Remuneration from employment on extended absences outside South Africa is exempt from tax if the employee is outside South Africa for an aggregate of more than 183 full days in any 12 -month period and for at least one continuous period exceeding 60 full days during the same 12-month period. For residents, any amount received or accrued under the social security system of another country or any pension received from a non -South African source (and not deemed to be from a South African source) in consideration of past employment outside South Africa is exempt from tax. Pensions with respect to services within and outside South Africa can be apportioned.